It appears that winter might finally be on the way out, but not before it gifted me with a sweet viral strain of mono that has me sidelined for a bit. I’ve been under the weather for a while, so I’m glad to at least know what is dragging my body down, and I’m staying up on my chiro appointment to keep my immune system functioning. That being said, my appetite has been either fully blown or completely absent, sometimes for days. So, when I have the energy and desire to cook, I cook. For hours. Last Sunday I was feeling particularly inspired because my full-room closet was being constructed (oh yes, there will be a post full of pictures to follow), so I went to the market first thing to grab the weeks necessary ingredients. Once I had the groceries, it was game on. 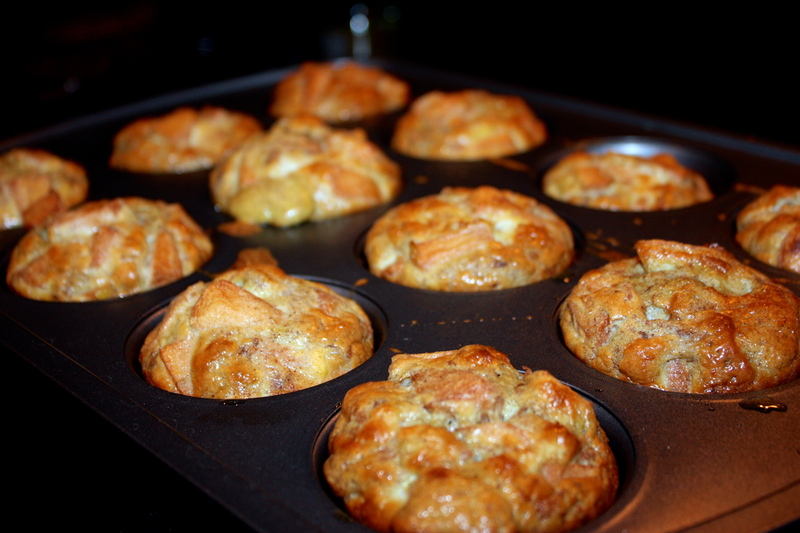 The first creations I set out to make were some (clean) egg streusel ‘muffins’ that our friend Becky had sent over to me. I’m not sure how exactly they came about, but Dar had been talking about them for a week straight, and since multi-step recipes are not exactly her thing, I obviously inherited the task of experimenting. So, here are the directions from the recipe, along with some of my own commentary since I’m not a strict recipe follower, by any stretch of the imagination. 2. 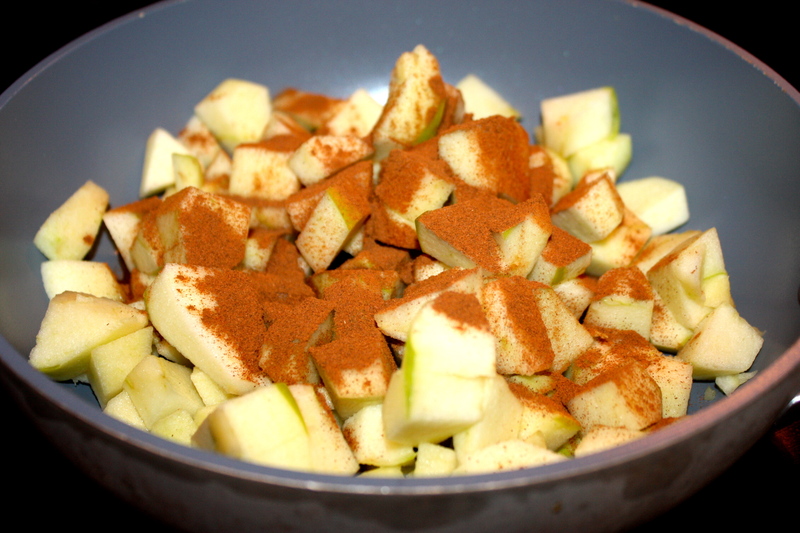 Simmer diced apple pieces in a saucepan with 3 tbsp (warm) water, and 1.5 tsp ground cinnamon. 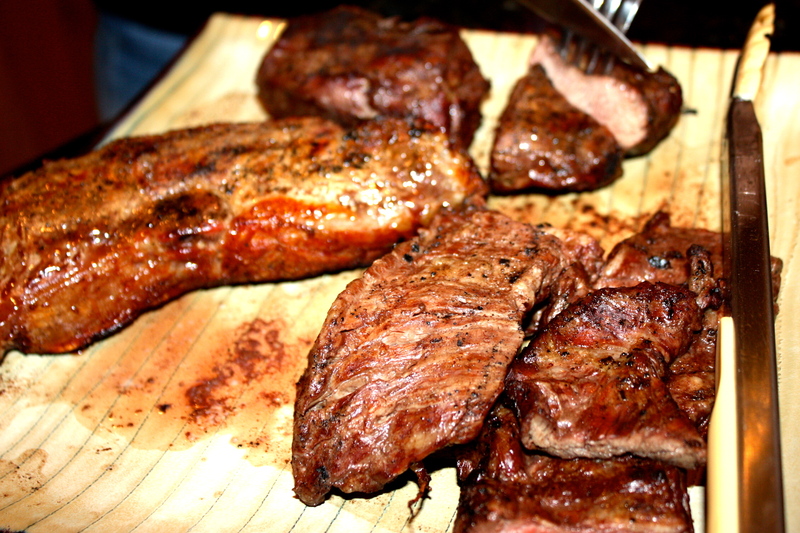 Now, if I were to do this again, I’d be chopping those little guys up a bit smaller, because it took forever for them to cook down. Also, I added about 6 additional tablespoons of warm water because it kept boiling off. Other than that, it all worked out pretty well. Simmer the apples down (stirring occasionally) until they apples are soft and the consistency of chunky apple sauce. It also says to let it cool before combining with the dry mix part (that’s next! ), which I was far too impatient to do, so I can tell you from experience, even if it’s still warm, you’re good to go with mixing it all together. 3. In a medium mixing bowl, whisk the eggs, butter, coconut milk, coconut flour, 1/2 teaspoon of cinnamon, baking soda, and salt until well combined. 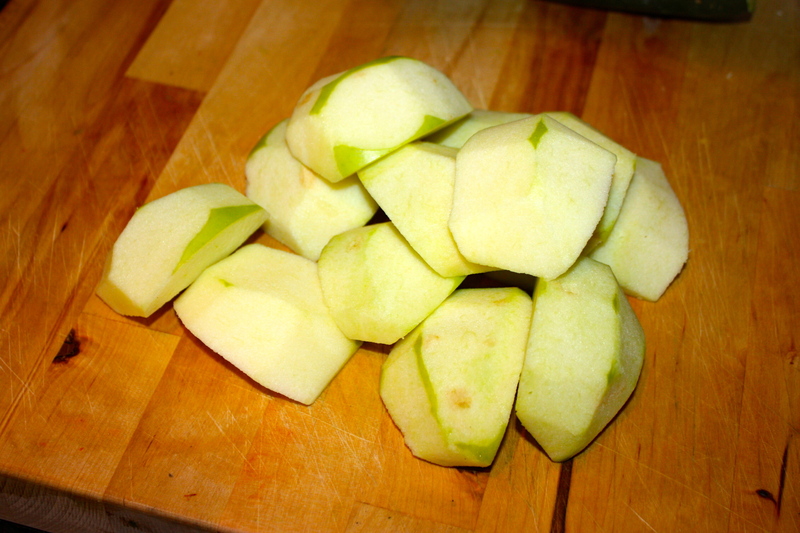 Add the cooled apples, reserving 1/4 cup for a garnish. This part was pretty simple, but I’ll just say, if you’re going to substitute out the butter for coconut oil (that’s what I did) just make sure you melt it first to keep things simple, and again, moderately cooled apple mix-in is kosher, so just get after it. When they came out of the oven I let them cool for a bit, and then they went directly to my face. And they were good. I packed [most of] them away and popped them in the fridge so they’d be easy grab and go breakfast items during the week, and got started on project #2: dinner(s) for the week. 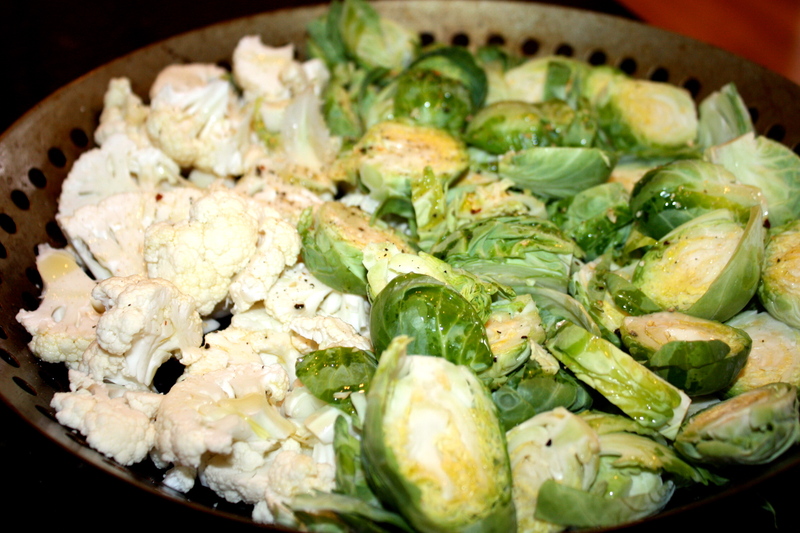 When I lived in Philly I didn’t have an outdoor grill, so I got pretty used to broiling vegetables in the oven. Now that I have an awesome outdoor grill accessible I’m trying to be better about grilling more than just meat, so I made good on that promise to myself with some cauliflower and brussel sprouts drizzled with olive oil, everyday seasoning from Trader Joe’s and fresh ground sea salt. Last minute I jammed an additional row of zucchini in there to give it some more green. 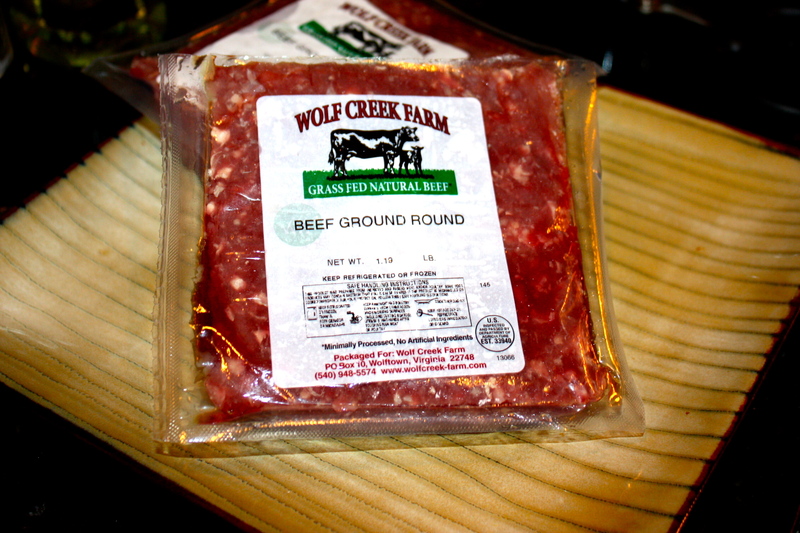 Along side the veggies, there was of course a steak from Wolf Creek Organic Farm here in Charlottesville. 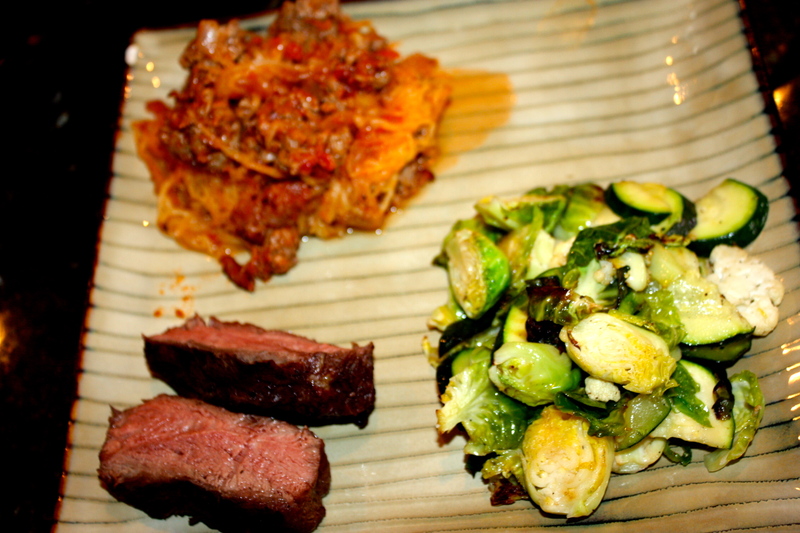 We had a few cuts including a skirt steak that we hadn’t had before that were tossed onto the grill, and in the spirit of ‘cooking it forward’ for the week, I thawed some ground beef for another round of the spaghetti squash bolognese we also made the week before. 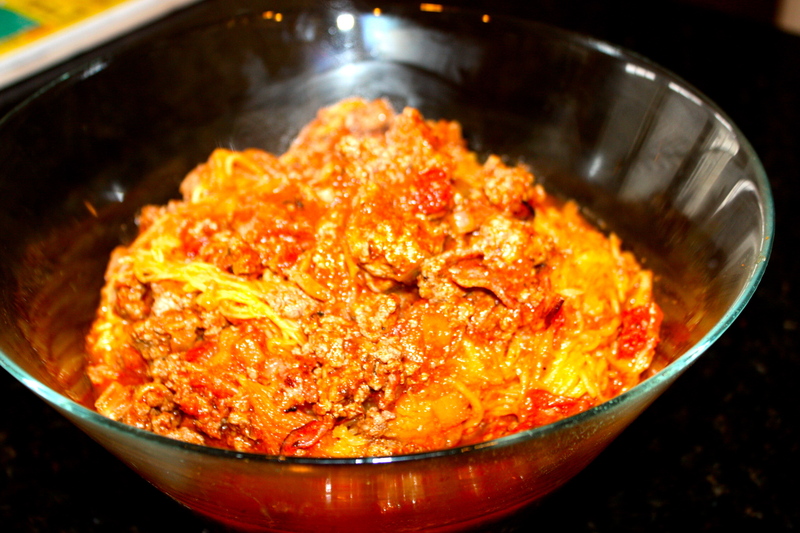 The spaghetti squash bolognese was exactly right. I had finally found a couple of larger squash at Whole Foods (so I didn’t have to roast 5 of the baby ones again), and the ground beef and turkey bacon really made the sauce more flavorful and soaked right into the squash strands. 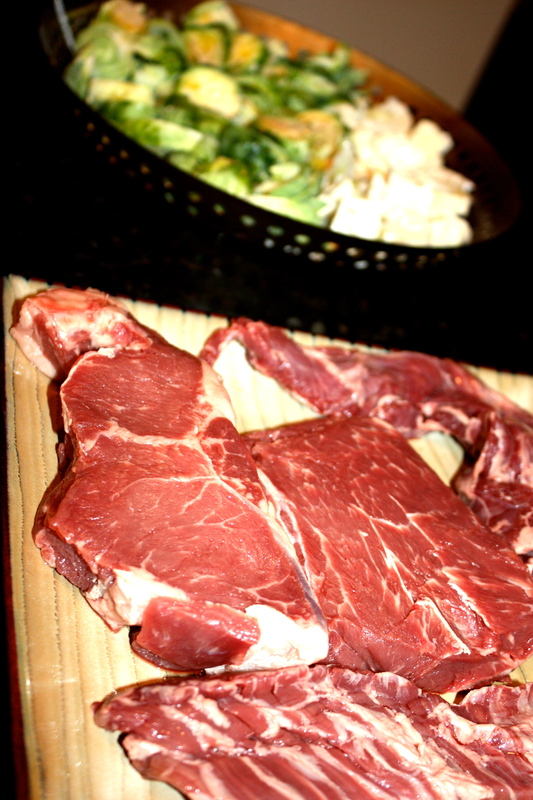 The veggies and meat were awesome, and lasted for several meals during the week thanks to the over abundance of food this ‘meal’ yielded. 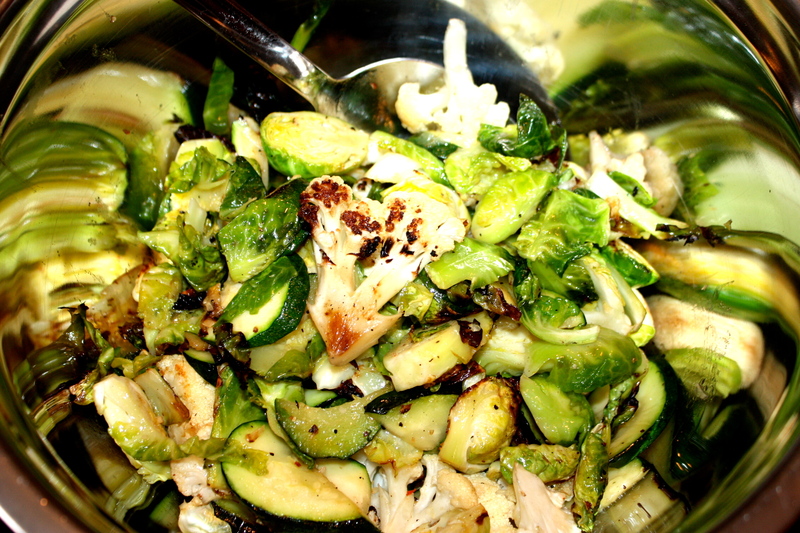 The 28 day challenge was still in full swing during this meal creation, and was around the time that we stopped realizing that there were no carbs or additives in our food. Of course that is not to say we forgot about coffee creamer and wine, but for the most part, we adapted to the food part and continued to be filled up by meals. Dar and I will both, independently, be writing our own recaps of the 28 to life challenge in the coming days. Our experiences differed somewhat based on our difference in food preferences and overall experience, which mostly differed only due to my decreasing appetite over the last few weeks thanks to this awesome illness. Either way, it was a worthwhile challenge, and will definitely be modified and incorporated into our everyday eating habits. We’ve obviously got lots of updates coming your way in the next few days from the past week, and have a number of exciting updates to share in the next few days so stay tuned for the skinny on all of that. Until then, enjoy the beautiful SPRING weather!